It’s a good idea to have a grasp of the envelope information before buying your pattern as you’ll want to get the right size, fabric and accessories before you sit down at your sewing machine to make a dress. To start, let’s take a look at each section of the envelope and work out what it all means. At the top of the envelope are the sizes. The chart shows what size garment to make depending on your measurements. 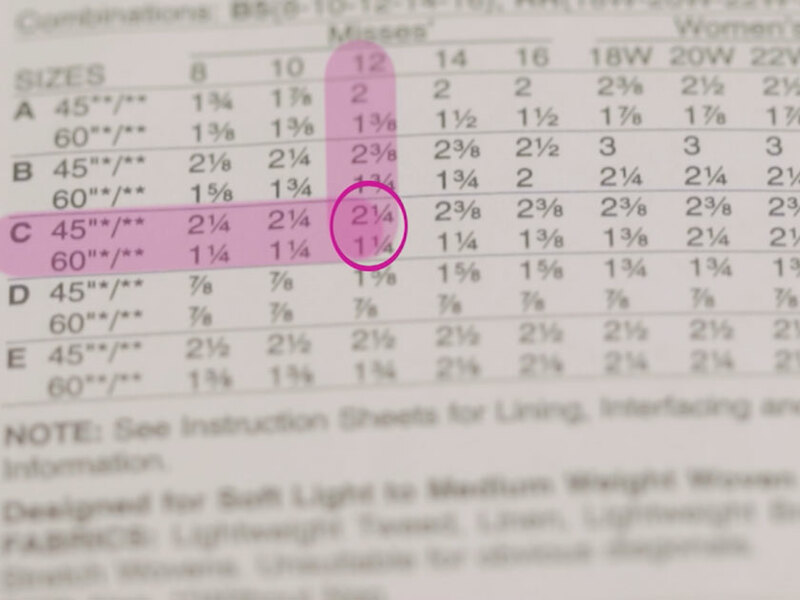 The dress size determines what cutting line to follow on your paper pattern at a later stage. 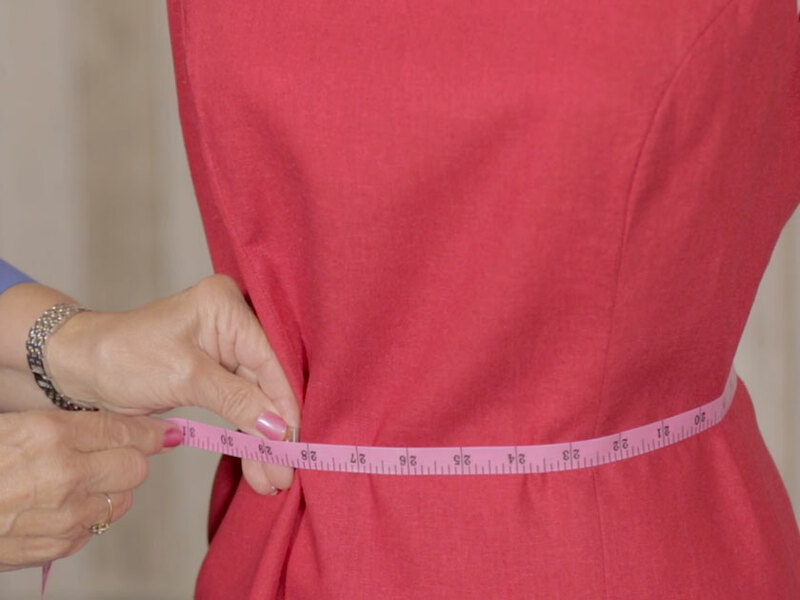 To work out your dress size, measure your bust, waist and hip measurement. Remember that the dress pattern size will probably be different to the dress size you buy from the shops, so it’s important to measure before cutting out the pattern. The pattern lists all the different garment variations included within your pattern, our B5719 pattern by Butterick includes patterns for a jacket, dress, skirt and trousers. The next chart shows the measurement of fabric you’ll need depending on your size from the first chart. The envelope will list two standard fabric widths and the length of fabric you’ll need in accordingly in yards or metres. A list of fabric suggestions includes all the different materials that would suit the pattern design from lighter to heavier weight fabrics. Just be aware that the weight of your chosen fabric will effect the drape of the final garment. Following this, the list of notions will tell you all the accessories you’ll need to sew the garment like zips and buttons. Just remember to buy matching thread as this is rarely included on pattern envelopes. When you open your dress pattern, you’ll find a detailed leaflet telling you all about the paper pattern itself and step-by-step instructions on how to construct your garment. 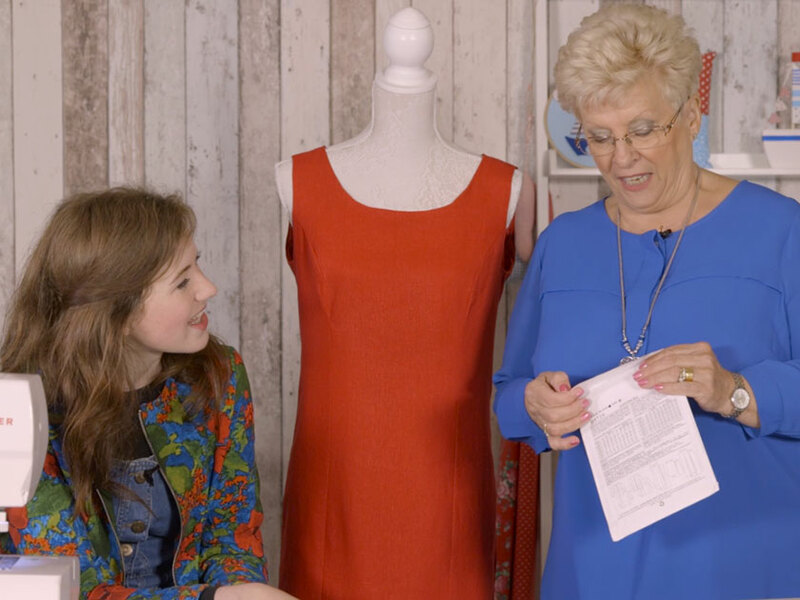 The next stage in making a dress is learning how to cut out fabric with a paper pattern, watch our video to find out how!